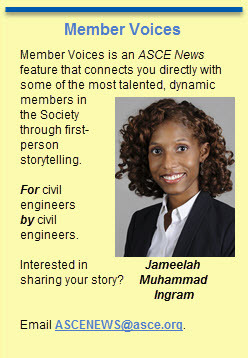 Jameelah Muhammad Ingram, P.E., M.ASCE, is a structural engineer for WSP USA and a member of the ASCE New Faces of Civil Engineering class of 2013. 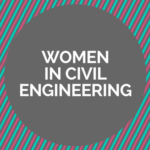 In this week’s edition of ASCE Member Voices, as part of the ASCE News Women in Civil Engineering series, Ingram talks about why equitable treatment of women is fundamental to what engineering is all about, and how she learned these lessons through an unlikely source: stand-up comedy. Engineers solve problems to improve lives across the globe. In a world void of engineers, we would not have the internet, potable water at the turn of a faucet, or a reliable bridge in high-wind conditions. Engineers work together to advance humanity, assure safety, and serve communities. The welfare of people is at the core of the profession. Women, however, have not been fully embraced to engineer the very works society benefits from. This conflicts with the essence of engineering itself. How can a profession, fueled by philanthropy, innovation, and big dreams, be faced with this circumstance? I am a structural engineer at WSP USA and optimistic that this will change, as engineering is also based on progress. I know that we will collectively thrust the engineering industry into alignment. Three lessons I have learned, outside of the engineering environment, encourage such a breakthrough. These observations appeared to me in an unlikely place – a comedy club in Washington, DC. I have always enjoyed film and storytelling. And I had a desire to give stand-up comedy a try. Surely I could tell a few jokes on stage … right? Maybe I’d start with something like “Why did the engineer cross the road?” Maybe not. Anyhow, I signed up for a comedy class at the DC Improv in Washington, DC, to find the answer. The class was called “Five Minutes to Funny.” Over a few weeks, they promised to guide you through the development of a five-minute set. At the end of the course, we the students would have the opportunity to perform in front of a live audience! My class consisted of women and men from various disciplines, ranging from a writer at a popular television station to a professional in the biotechnology field. Each week, we spent time learning the basic elements of a comedy set. Most of the time, however, was spent performing our own material in front of the class each week. It was a judgement-free zone where we could collect feedback from the instructor and a diverse group of classmates. Our sets were ultimately influenced by people across occupations, cultures, and perspectives. As noted in The Medici Effect, by Frans Johansson, diversity drives innovation and innovation happens at the intersection of ideas, concepts, and cultures. The individual product of each student grew into a collaborative effort. My set improved immensely from incorporating my classmates’ comments. 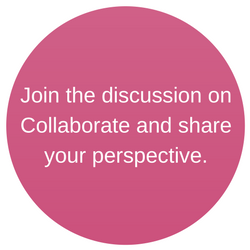 In solving engineering problems, welcoming the viewpoints of women can only drive society further than any meeting held without us. The difference between a good and a bad punchline could be one word or a slight change in voice inflection. A great punchline can leave your audience laughing uproariously. A poor punchline, however, can leave you with the rumbling sound of an HVAC unit or crickets. Most of all, a bad punchline results in a disappointed audience. The crowd feels let down and the energy in the room takes a dive. Similar to an audience at a comedy show, it is important to consider my colleagues’ feelings while communicating in person and through email. Yes, there are deliverables to be achieved in a business environment. Nevertheless, as we pursue project goals, I ask myself, “How do I make my colleagues feel with this choice of words and delivery?” Being mindful of how we communicate with our associates, even in difficult conversations, can lift morale in an office and promote inclusion. This also helps projects to succeed. As I stepped onstage, the light was blinding. I could hear the audience, but wasn’t able to see anyone, except my husband. This worked in my favor. My focus automatically shifted to the content of my jokes, as opposed to peering at the audience. I often make this mental shift in engineering settings. I put blinders on when I walk into a meeting, focusing instead on the subject matter that attracted me to the profession. As a teen, I was inspired to study structural engineering by the infrastructure and architecture in my hometown of Chicago. I was captivated by soaring skyscrapers and beautiful bridges, and did not discover that I had chosen a “nontraditional” profession for women until much later. This is likely because I grew up with several math and science instructors who were women, as well as positive male role models. My own father studied math and engineering. Besides, would that discovery have discouraged me or otherwise mattered? I do not focus on the fact that I am a woman, even when others do. As a woman, though, I instinctively offer a distinct perspective. My gender is one facet of who I am. Focusing on subject matter and engineering solutions, instead of genetic differences, could generate positive solutions for our communities’ issues. 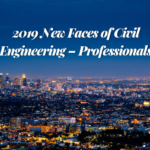 Improving people’s lives is at the heart of the engineering profession. 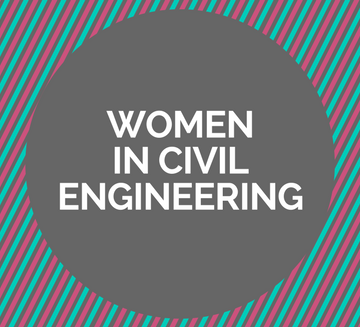 Women have made significant engineering contributions for a long time, from Emily Roebling to Dr. Mae Carol Jemison. So, why did the engineer cross the road? To build a bridge for the girls coming behind her. 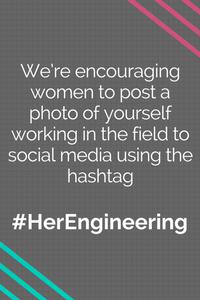 I have now had more supportive engineering mentors, both men and women, than ever before. 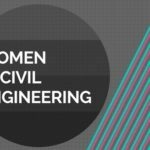 Attracting young women through engineering outreach is vital to increasing the pipeline of talented engineers. Also, as we attract more women to the profession, we should focus on retaining the ones who are here now. A great start is for those in management roles to ensure that women are engaged in leadership opportunities, technical assignments, and, simply put, added to Outlook meeting invites. Now, if I were reading this article, I would also want to know how the stand-up comedy performance went. Thankfully, my jokes landed, and the audience had a great time! The night ended in laughter for myself and my classmates – well, most of my classmates. Either way, our accomplishments owed something to the structure of the class and the lessons learned; lessons that can be applied in or out of a comedy club. An emphasis on collaboration, considerate communication, and subject matter led us to our success.